Visit one of the many theme parks located in Orlando, Florida! Only 7.5 miles away from Prosthetic & Orthotic Associates, Hyatt Place Orlando Airport offers comfortable extended stay rooms for the visiting patients and their family and friends. 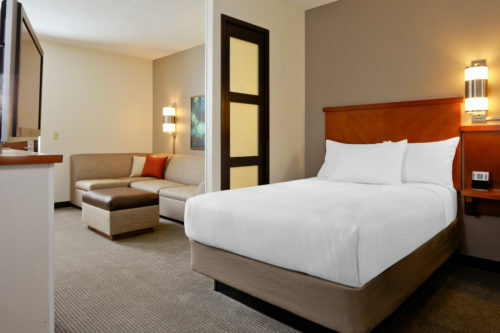 To book your Hyatt Place Orlando Airport reservation at the POA rate of $89 per night (plus tax) for a standard room, click here The POA rate includes complimentary breakfast, Wi-Fi, self-parking and complimentary airport shuttle. This special rate is based on rooms being available at the time of the reservation with a length of stay greater than 4 nights. Visit the Website Located 8 miles from Prosthetic & Orthotic Associates. Apartment-Style Suites with full kitchens, living-room with pull-out sofa bed, private bedroom and bathroom. For the remainder of 2016, the POA rate will be between $70 and $85 (it depends on the time of the year). 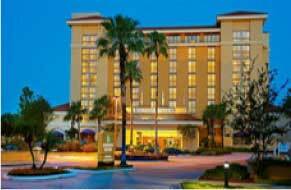 To book this rate, contact Carolina Lopez directly at 407.438.2121 x 163 or via e-mail clopez@dhmhotels.com. Visit the Website Enjoy the complimentary breakfast buffet, Internet access, and free parking at this pet-friendly hotel. Full one or two bedroom suites with kitchenettes are available. Visit the Website Hotel near OIA offers a convenient and complimentary airport shuttle service. 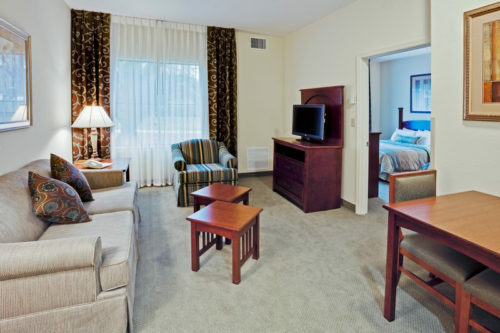 Relax in a spacious guest room or suite with an HD TV and complimentary HBO and internet access. Visit the Website The Embassy Suites provides a complimentary cooked to order breakfast every morning. 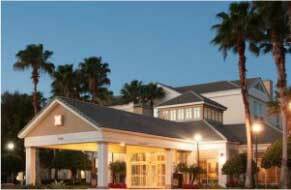 It is located in downtown Orlando and within walking distance to many restaurants, shopping, etc. They also have a restaurant on-site. The pricing varies greatly depending on the time of year. Use their website to get the best rate! 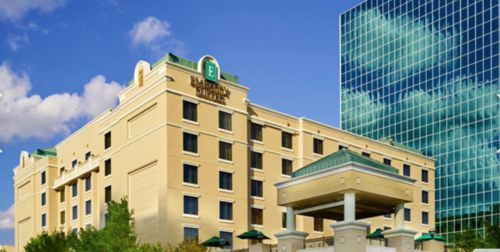 When making a reservation, verify that you are booking the Embassy Suites on Pine Street, Orlando, FL. 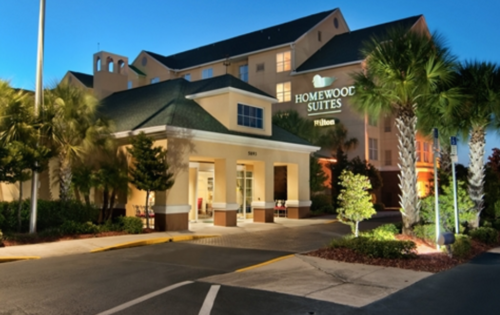 Visit the Website One-bedroom suites at Homewood Suites by Hilton® Orlando-Nearest to Universal Studios® are spacious, airy and relaxed. Pull-out sofa sleepers in our suites make them a great option for larger groups, with granite counters in the bathroom adding a touch of elegance. Relax in front of the 42-inch flat-screen television– two LCD TVs in each suite ensure no fighting over what to watch. Accessible suites are designed with mobility in mind. Indulge in an extra 10 minutes of sleep in a king- or queen-sized bed, knowing that your hot full breakfast is included every morning. A full kitchen is exactly that – a full-size refrigerator, twin-burner stove, microwave oven, coffeemaker, and dishwasher. Fill your suite with the aromas of home with our welcome pack of fresh coffee. Stock up on your favorites from our 24-hour snack shop, or call us in advance and your groceries will be in your suite when you arrive. 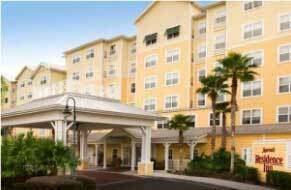 At our extended-stay hotel in Orlando, you’ll enjoy a range of inclusive perks to help you feel right at home. Indulge in a hot full breakfast each morning, and relax at our evening social* Monday through Thursday. We offer a complimentary grocery shopping service – and if you forget something, there’s a 24-hour onsite convenience store. Other benefits include newspaper delivery every weekday and complimentary WiFi. It’s all you need to make yourself at home. Visit the Website One-bedroom or two-bedroom suites with fully equipped kitchen. Complimentary hot full breakfast each morning and evening dinner and drinks Monday through Thursday. They offer a complimentary grocery shopping service – and if you forget something, there’s a 24-hour on-site convenience store. Other benefits include newspaper delivery every weekday and complimentary WiFi. Approximately 10 miles from POA, via I-4.